Join us for Spring Market on Saturday, March 30, 2019 from 2pm - 8pm. Spring Market is a modern Saturday market that brings together a unique collection of vendors, live music, visual art, inspiring speakers, and local food & beverage. Hosted by Refinery 29, Forbes and Winston House! Curated by Local LA & ROW DTLA as a celebration of Women’s Month, our first event highlights female founders, brands, artists & initiatives. We’re excited to see you there! Spring Market is hosted at ROW DTLA. 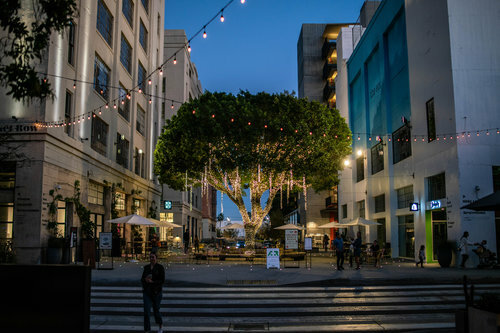 ROW DTLA is the new creative face of downtown. Six iconic buildings serve as a hub for modern retail, food experiences, community gatherings, social entrepreneurship, and innovative creative office space. Brands like Adidas, Refinery 29, Soho House and many more call ROW DTLA home for office space, festivals & pop-ups.